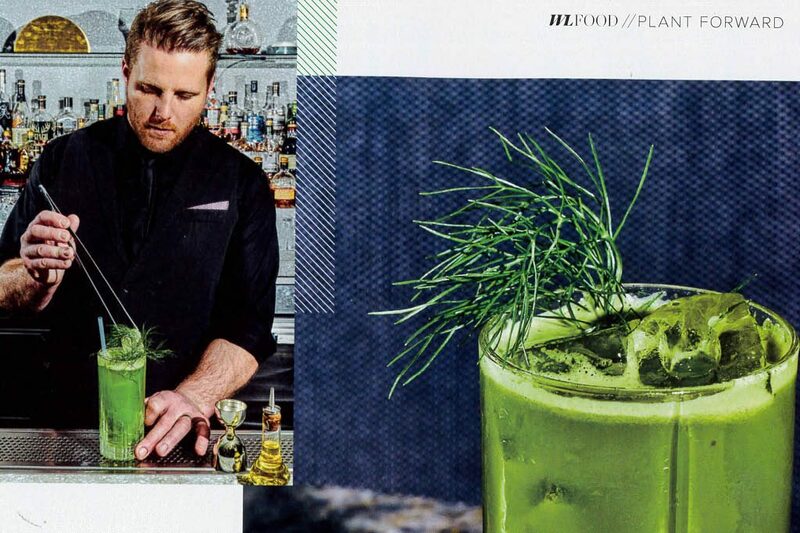 There are slow-drink, “plant forward” cocktails and then there’s Grant Sceney’s Garden of Qarth. The blanching, juicing and hand whisking might push your prep past the 30-minute mark, but the Hulk drink’s lucky recipient will certainly know they are your favourite. Combine all ingredients in a cocktail shaker, add ice and shake. Strain over fresh ice in a Collins glass and top with soda. Finish with garnish of fennel fronds or fresh herbs.